As the ebike market continues to grow and evolve, we will keep seeing improvements in both bike design and components. 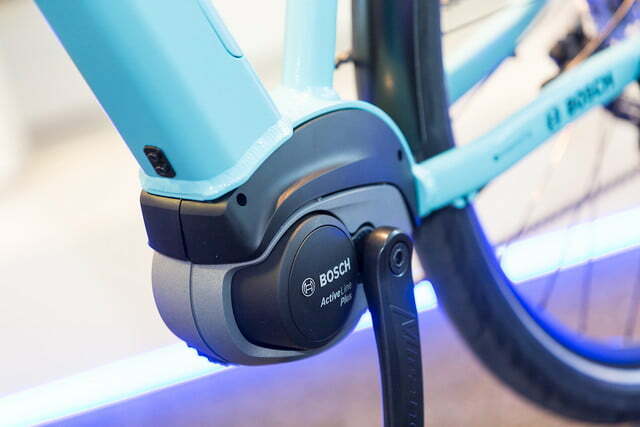 For instance, at this month’s Interbike International Expo in Las Vegas, Bosch will unveil two new drive systems for use in ebike models scheduled to go on sale in 2018. These next-generation motors promise a host of new features that will make electric bikes more tempting to both ebike enthusiasts and traditional riders alike. The premiere edition of these new electric drives is dubbed the Active Line Plus. 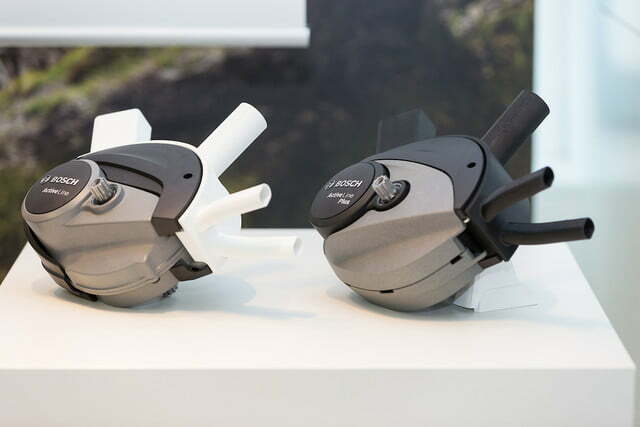 It sports a design that is 20 percent smaller than previous Bosch drives, allowing it to be integrated more cleanly into future bike designs. It is also 19 percent lighter, weighing in at 7.1 pounds. That should help future ebike models to slim down a bit, addressing one of the biggest issues for traditional cyclists who struggle with the weight of electric models. Designed for use in bikes built for commuters and casual riders, the Active Line Plus has a substantially increased range thanks to to a lower max-torque setting of 50 newton meters (Nm). This allows a bike equipped with the new drive to travel as far as 130 miles on a single charge. 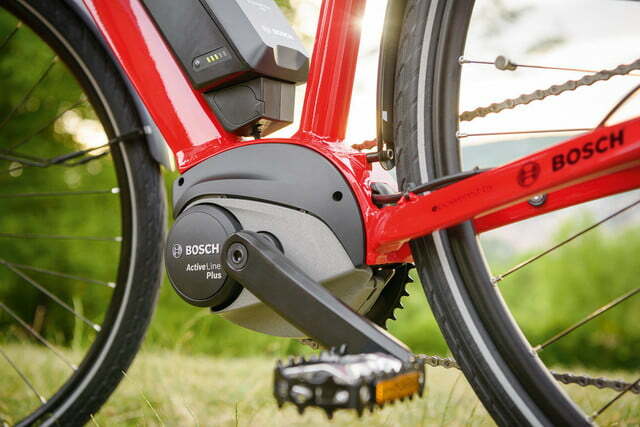 Bosch says the motor is also whisper-quiet, eliminating the noise that is often associated with ebikes. Best of all, the drive can support multiple front chain rings for improved gearing, and it now offers zero-resistance to riders when turned off. This feature allows an e-bike to pedal just like a traditional one when the drive is disengaged. The second new drive is simply called the Active Line, and it features all of the same features of the Plus model, with just a few key differences. This version of the motor has a maximum torque rating of 40 Nm rather than 50, allowing it to have a similar range but with an even smaller footprint. 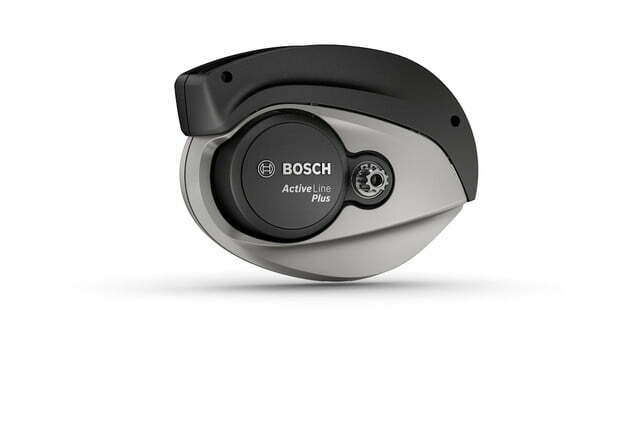 Bosch says that the Active Line weighs just 6.4 pounds and is 5 percent smaller than its sibling. In addition to launching the two new drive systems at Interbike, Bosch also trumpeted the inclusion of eMTB mode in its motors designed for use in electric mountain bikes. This feature allows the bike to detect the amount of pressure being put on the pedals and apply the proper level of assist based on the current needs of the rider. Essentially, the bike automatically adapts to the individual, giving it the ability to provide support without ever changing modes and when riding at a low cadence. 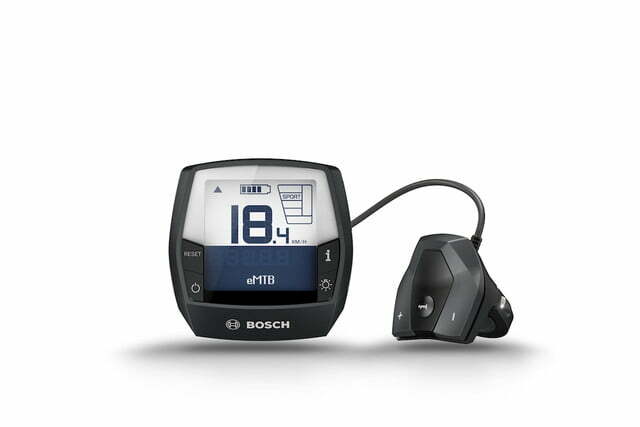 The eMTB mode is available for bikes equipped with Bosch Performance Line CX drives via a software update. 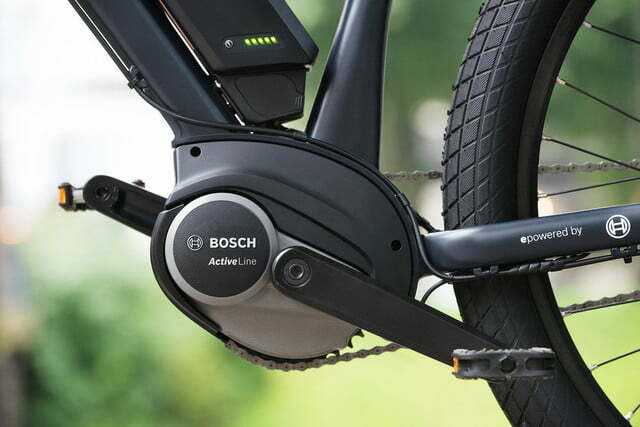 Find out more at bosch-ebike.com.